This entry was posted in NL and tagged blog on November 10, 2011 by FEMEN. This entry was posted in NL and tagged blog on November 8, 2011 by FEMEN. This entry was posted in NL and tagged nieuws on November 8, 2011 by FEMEN. This entry was posted in NL and tagged blog on November 7, 2011 by FEMEN. This entry was posted in NL and tagged nieuws on November 6, 2011 by FEMEN. 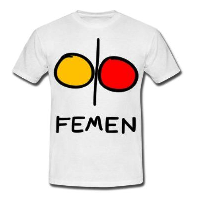 This entry was posted in NL and tagged blog on November 2, 2011 by FEMEN. This entry was posted in NL and tagged blog on November 1, 2011 by FEMEN. This entry was posted in NL and tagged blog on October 31, 2011 by FEMEN. This entry was posted in NL and tagged blog on October 28, 2011 by FEMEN. This entry was posted in NL and tagged blog on October 27, 2011 by FEMEN.